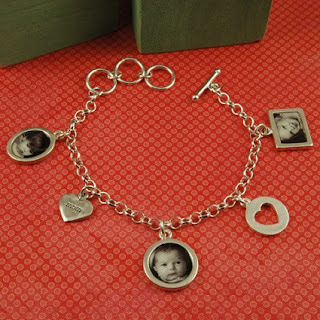 "PlanetJill specializes in designing one-of-a-kind sterling silver or gold elegant treasures with the faces of loved ones inside their unique charms. Each piece has a high-quality, heirloom appeal--something to cherish for a lifetime. The company offers a wide variety of designs including necklaces, bracelets, keychains, cufflinks, belts buckles, baby spoons, money clips and more." I would love this "Mom" Charm Bracelet it would be a great way to have my kids with me everywhere I go. Here's a great chance to get it for less. PlanetJill is offering all you Girly Girl readers $10 off any purchase using the coupon code BEAUTY. This would be perfect to use if you have a loved ones birthday coming up!